Infants learn to communicate through everyday social interaction with their caregivers in a multisensory world involving sight, hearing, touch and smell. The neural and behavioural underpinnings of caregiver-infant multisensory interaction and communication, however, have remained largely unexplored in research across disciplines. This book highlights this largely uncharted territory to better understand the developmental origins of human multisensory perception and communication. It emphasizes the range and complexity of multisensory infant-caregiver interaction in the real world, and its developmental and neurophysiological characteristics. Furthermore, recent theories of brain development suggest that brain, body and the environment interact with one another on an ongoing basis, influencing each other and are constantly being influenced by each other. 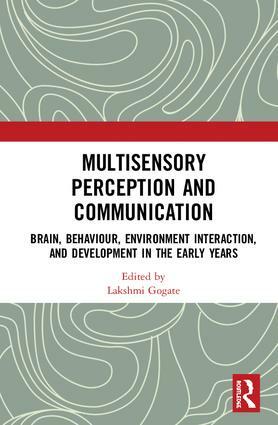 This volume aims to elucidate the neurophysiological, behavioural and environmental factors to better understand the nature of multisensory communication as a whole. This book was originally published as a special issue of Developmental Neuropsychology. Lakshmi Gogate is a Researcher whose work focuses on the developmental dynamics of word learning in infants prior to and after their first word production, and multisensory processes during mother-child interaction. Her research has been funded by the National Science Foundation, The March of Dimes and the Thrasher Research Fund.